Every baseball fan knows the story of Archibald “Moonlight” Graham. Fictionalized in the book Shoeless Joe by W.P. Kinsella and the movie Field of Dreams, Moonlight Graham has become the quintessential “one and done” ballplayer, that rare category of guys who appeared in only a single Major League game. Graham’s story is all the more unique in that while he appeared in just a single game, he never got a turn at bat, something he always regretted. The old ballplayer went on to live a good life, becoming a beloved doctor and husband in Chisholm, Minnesota. But as great a story the short career of Moonlight Graham makes, there’s another “one and done” guy whose tale I think you’ll appreciate even more. It was September 14, 1919. The Detroit Tigers were in Washington for a Sunday game in Griffith Stadium. Tom Zachary was on the mound for the Senators, and mixed in among the hulking veterans on the field was a miniscule shortstop being given a tryout by manager Clark Griffith. The newcomer’s name was listed in scorecards as Jesse Baker, and it was reported that he had hit a nice .278 with the Richmond Colts that summer. At a stocky 5’4” he was a diminutive figure on the field, but by all reports the kid could more than hold his own. The Tigers, led by a .389 hitting Ty Cobb, started off the game with a bang by jumping on Zachary for five runs. After only getting one Tiger out, Griffith sent his starter to the showers and sent in Ed Gill to put out the fire. In the maelstrom, Jesse Baker kept a cool head and recorded an assist. Gill succeeded in getting the next two batters to fly out, ending the inning. In the bottom of the first, Detroit’s Howard Ehmke retired the Senators before Baker, batting in the 8 slot, got a chance to hit. Baker grabbed his glove and took the field for the top of the second. Gill got Donie Bush and Ralph Young out, but Ty Cobb managed a single and was now standing on first, eying the diminutive shortstop standing between him and second base. Suddenly, like a flash, Cobb was charging down the basepath, dust clouding his wake like a smoke screen, teeth bared like a wild animal. Gill reeled and threw a strike to Baker who gloved the ball and turned to face Cobb, now shooting straight at him, spikes high, like a double barreled arrow. When the dust settled, Cobb was perched triumphantly on second and the rookie lay in a heap on one side of the bag, the ball on the other. Everyone in the ballpark knew it, but the ump called “safe!” to make it official. The Washington infielders ran over to the rookie and helped him to his feet as Cobb stomped his spikes on the base. Blood ran down Baker’s forearm where Cobb’s spikes had caught him as he kicked the ball out of the kid’s glove. By now Clark Griffith was on the field with Frank Ellerbe following close behind on his way to take Baker’s place at short. As he was led towards the dugout, the rookie called Cobb every filthy name in the book, the stream of invectives still swirling around the infield long after he was taken to the locker room. And that, my friends, was the extent of Jesse Baker’s Major League career. If that alone was the whole story of Jesse Baker, it would already best that of Moonlight Graham – but that isn’t the whole story of Jesse Baker. In fact, Jesse Baker’s name wasn’t even Jesse Baker. But let’s start at the beginning. Jesse Baker was actually born Michael Myron Silverman on March 4, 1895 in Cleveland, Ohio. His father, a Jewish immigrant from Russia, owned a successful clothing store and young Mike was expected to follow in the family business. To most sons, this would be a great opportunity, but not to Mike Silverman. Like his neighborhood pal Charley O’Connell, who dreamed of being a prizefighter, young Mike Silverman had his eyes set on becoming a big league ballplayer. 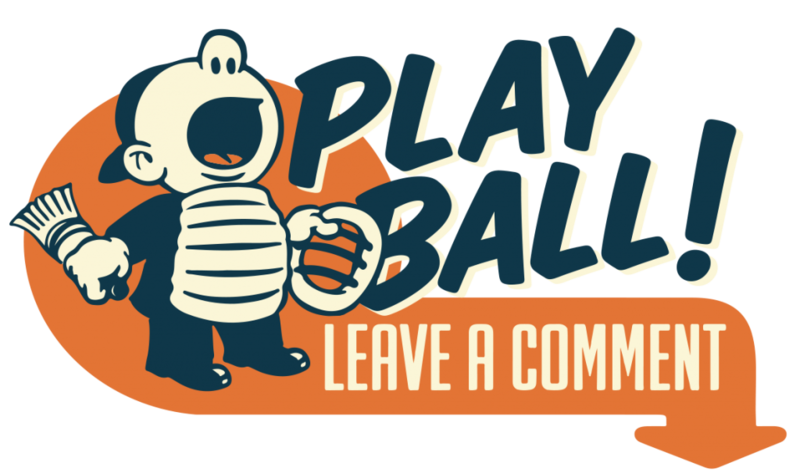 Though he was but 5’4,” Mike, now going by the more sporty “Mickey” Silverman, made a name for himself on the Cleveland sandlots, playing for semi-pro teams sponsored by stores and factories. Mickey got his first taste of pro ball in August of 1915 when he and several Cleveland sandlotters were given a tryout by Chicago Cubs manager Roger Bresnahan. The Cubbies put the Clevelanders in Chicago uniforms and took them to Toledo to play an exhibition game against the Mud Hens. Mickey appears in the box score as getting no at bats but recording a put out at short for the ersatz Cubs. At the end of the game, Mickey was sent back to Cleveland, where he continued playing semi-pro ball. Sometime between that game in Toledo and the spring of 1919, Mickey Silverman changed his name. It’s not recorded where he picked up his nom de baseball, but in the summer of 1919 newspapers reported that the Richmond Colts of the Virginia League had signed a new shortstop from the Cleveland sandlots: Jesse Baker. 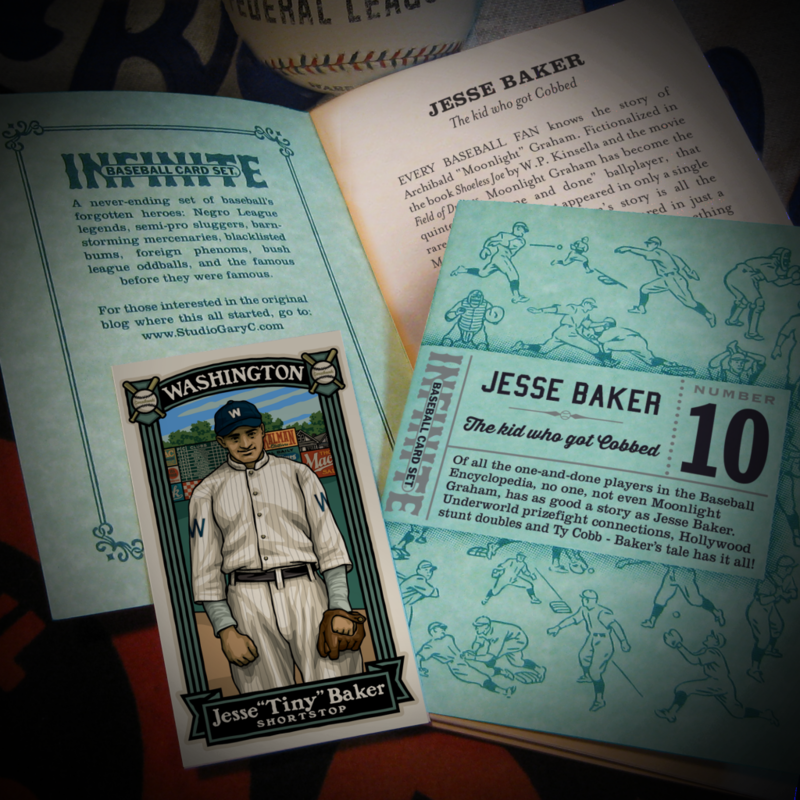 The first thing any game story mentioned about Jesse Baker was his size, and sportswriters ransacked the thesaurus to give him a variety of nicknames such as “Flea,” “Tiny,” “Lilliputian,” “Pygmy,” and “Wee Jess.” Even in the backwoods Virginia League 5’4” was quite small for a regular. Yet somehow Baker thrived, his spirited play in the field and at bat making him a favorite of the Richmond fans. Baker’s respectable .278 helped the Colts win the Virginia League’s second half pennant. By this time, word had spread of the Colt’s tiny shortstop, and scouts sent by Washington reported back to Clark Griffith that the kid was for real. Griff arranged for the Colts to lend Baker to the Senators for a few days, and after looking him over in batting practice, penciled him in for that fateful Sunday game against Detroit. The spike wound wasn’t terribly serious, and the D.C. sports pages reported the next morning that Baker would likely start that afternoon’s game. But it wasn’t to be. Clark Griffith likely realized that no matter how much moxie the 5’4” shortstop had, he made too easy a target for predators like Cobb. Baker returned to Richmond, and upon the conclusion of the Virginia League season, was sold to the Boston Red Sox. Baker failed to make the Sox and he returned to Richmond where he remained a favorite of the fans. His 1920 line was somewhat of a let down – .244 with 24 extra base hits, but his defensive play made him a key component in the Colt’s winning the first half pennant. Baker improved the next year to .286 and remained rated as the best shortstop in the league. During the off season, Roger Bresnahan, the Cubs manager who had given Baker (then known as Mickey Silverman) a tryout back in 1915, was now president of the Toledo Mud Hens, and he purchased the little shortstop. Baker went to spring training with the Mud Hens but spent most of his time feuding with Bresnahan. The Toledo president tired of the upstart shortstop and shipped him out to a team in the Eastern League that promptly sold him to Evansville. When he refused to report, Toledo farmed the troublemaker out to the Danville Tobacconists of the Piedmont League. Baker finished the season with a .280 average, but by now he was almost 30 and growing tired of the bush leagues. He had it out with Bresnahan again and quit organized baseball. When he refused to report to Toledo in the spring of 1923, Baker was banished from organized baseball. Returning to his hometown of Cleveland, Baker reverted to his Mickey Silverman moniker and worked the semi-pro circuit as a high-priced ringer for hire and dabbled in the automobile business. Meanwhile, ownership of the Toledo club changed hands during the winter and Bresnahan was forced out. The new regime sold Baker’s contract to Portland of the Pacific Coast League, but Baker declined to go, stating that he wanted to concentrate on business opportunities in Cleveland. However, when Toledo sold his contract to Kansas City instead, Baker decided to give baseball another shot. He was given a clean slate by the rulers of organized baseball and went to spring training with KayCee. Unfortunately, Baker failed to make the grade and was sold to the Lincoln Links of the Western League. It’s not clear whether or not he ever showed up in Lincoln, but by the end of May, several newspapers around the Midwest were reporting that Baker was seeking a spot on any team that would have him. Unfortunately for Baker, all the times he refused to report had made him ballplayer non grata throughout the minor leagues. He returned to Northern Ohio and resumed playing in the semi-pro leagues, most prominently with the Mansfield Great American club. His work was such that the Boston Red Sox gave him another shot in the spring of 1925, but he failed to make the cut. Instead of sticking around the Cleveland sandlots, Baker—now calling himself “Mike Baker”— decided to give managing a shot. Baker signed on as playing manager of the London Tecumsehs of the Michigan-Ontario League, bringing along many of his fellow Cleveland sandlotters with him. Baker’s squad turned out to be pretty good as a pair of his pitchers that season were 20 game winners and two of his players eventually made the big leagues. Baker had a good season as well, batting just south of the .300 mark and fielding his position flawlessly. His squad made the playoffs but lost to Hamilton in the final game. That winter, Buzz Wetzel, manager of the Hamilton club that bested Baker’s team in the playoffs, recommended the shortstop to his old pal Hank Gowdy, skipper of the Columbus Senators. Even though the Senators had former big leaguer Ralph Miller at short, Gowdy signed Baker and took him to spring training. To everyone’s surprise, Baker gave the former big leaguer a run for his money. The fight for starting shortstop lasted all spring, but Miller eventually won out and Baker was cut loose a few weeks into the 1926 season. He then caught on with the Little Rock Travelers of the Southern Association. There, Baker hit .238 in 57 games before calling it quits. Baker returned to Cleveland, resumed the persona of Mickey Silverman, and rejoined the semi-pro ranks. He also became reacquainted with his old friend Charley O’Connell. The fighter had realized his boyhood dream of becoming a professional fighter, but after a promising start, his career had stalled by 1926. Mickey took over management of his old pal and began a second career as a fight promoter. Putting his old baseball connections to work, he was soon getting O’Connell a number of lucrative lightweight bouts. Mickey then took other fighters under his wing including lightweight contender Joe Pangello and heavyweight Sammy Cohen. Unfortunately, Mickey’s old contacts were of the bootlegger/underworld variety and he was banned by the boxing commission in 1929. Once again resuming the name “Mike Baker,” the 34 year-old reentered professional baseball for a short stint with the Canton Terriers of the Central League. He was released after the season began and returned to Cleveland, but not for long. In 1932, Mickey was in Hollywood were he was hired on as a stunt double for James Cagney. Mickey apparently liked LA because he remained there for the rest of his life. He married a French-born woman named Elizabeth and worked on the fringes of Hollywood, reportedly palling around with the likes of the Marx Brothers. No doubt his Ty Cobb story was a big hit as he made the rounds of Tinseltown cocktail parties. For a while, at least, Mickey remained in the fight game as he was reported as being suspended for one month in 1933 by the California State Athletic Commission for “violation of rules.” By the mid-1940’s Mickey was working collections for a finance company in Hollywood. Sadly, when the diminutive shortstop passed away in 1976 there was no obituary to sum up his colorful life, simply a one line notice in the LA Times stating where his body was being viewed. So that’s the story of Jesse Baker. It’s fun to think of what Field of Dreams would have been like had the writers used Jesse Baker instead of Moonlight Graham. It sure would have been interesting to have as the protagonist a multi-named ex-fight promoter with shady connections instead of a kindly country doctor like the real Moonlight Graham. Instead of Burt Lancaster you could have Harvey Keitel as the old ballplayer. Maybe there could be a protracted cornfield fist fight rematch with Ty Cobb, or simply just the chance for Jesse Baker to finally bat in the major leagues, fulfilling the dream that was taken from him all those years before. This week’s story is Number 10 in a series of collectible booklets.